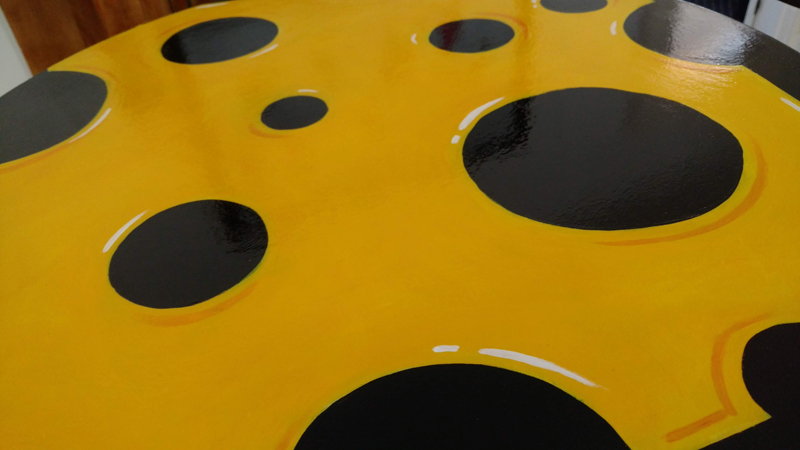 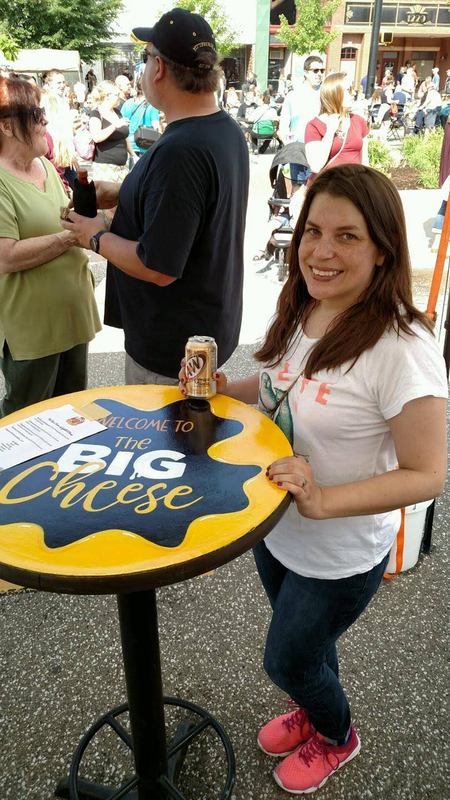 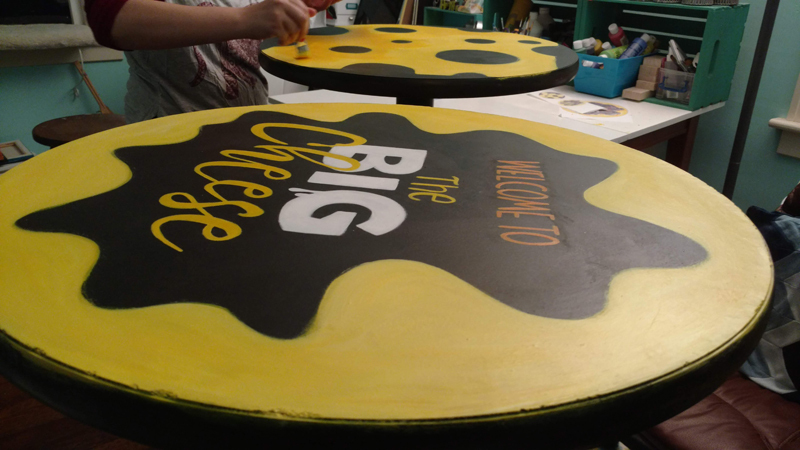 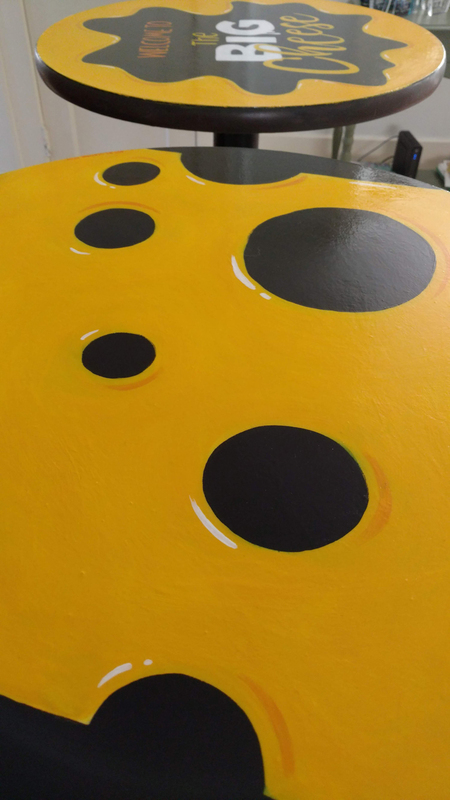 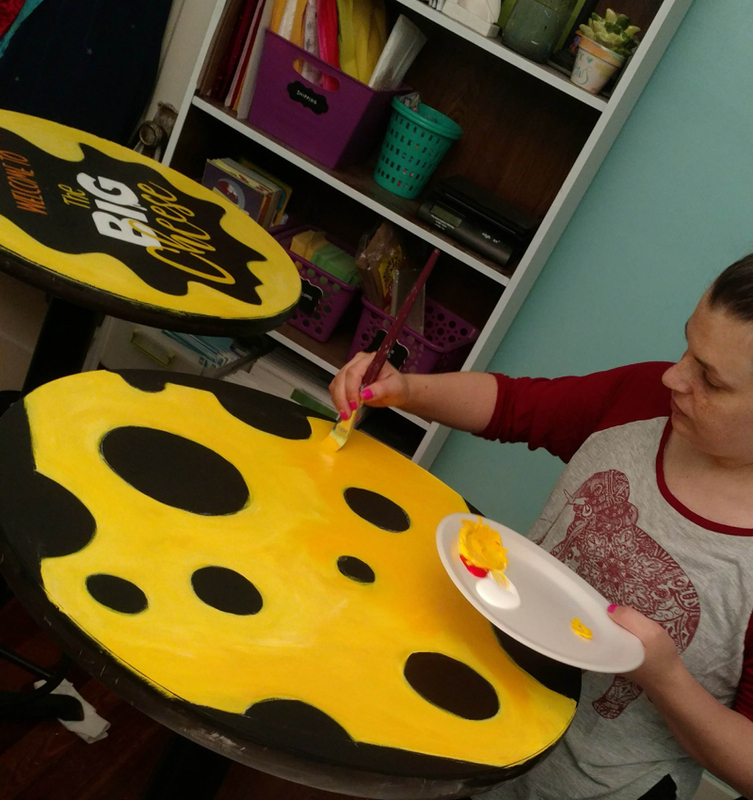 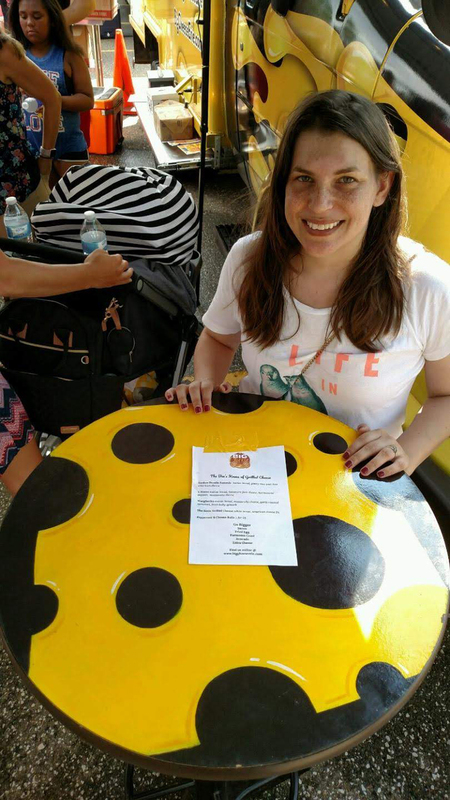 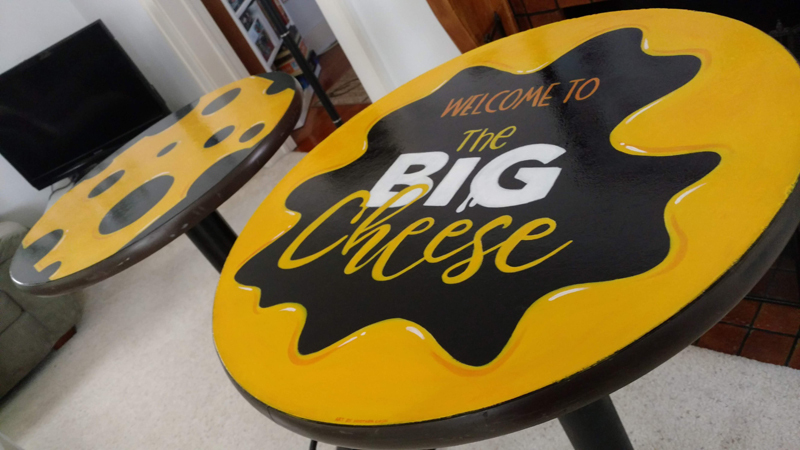 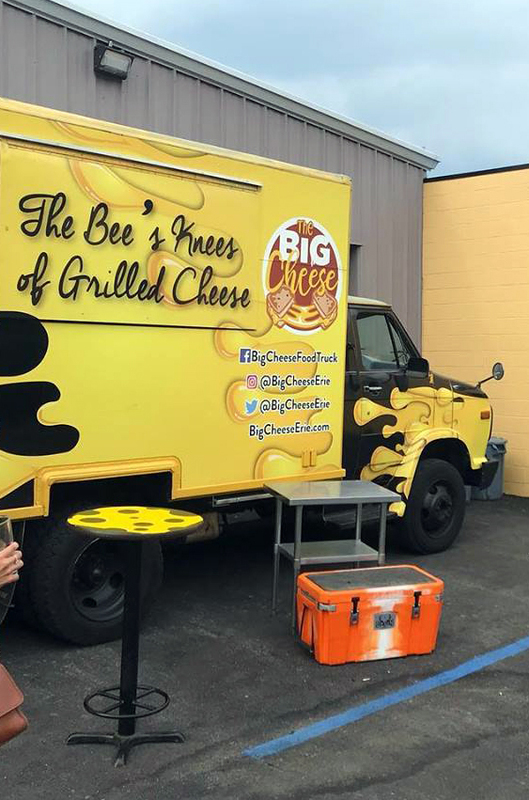 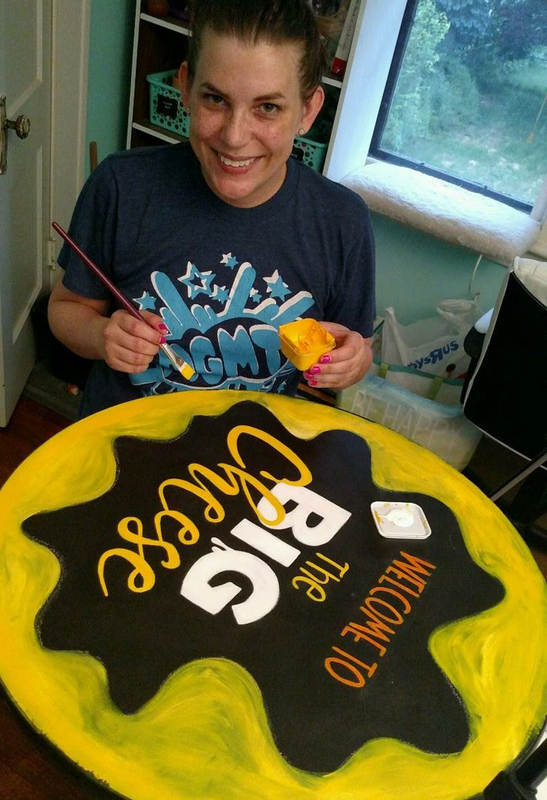 In June 2018, I was hired by The Big Cheese Food Truck to paint their two high-top tables to fit with their current colors and branding. 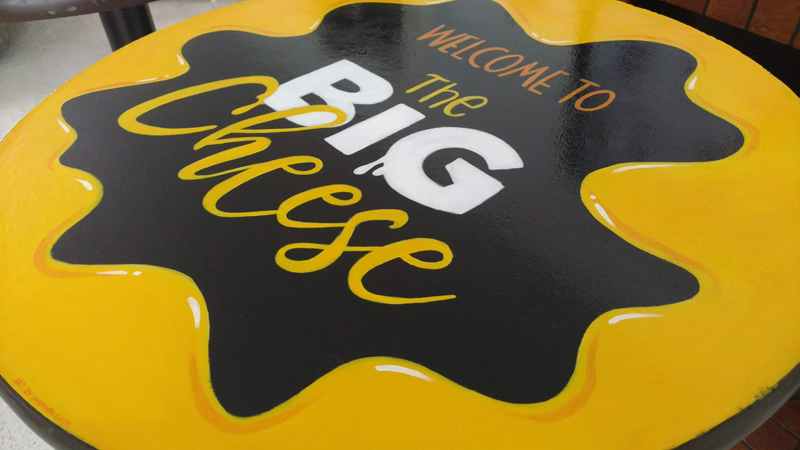 The food truck is black with yellow cheese illustrations, and very fun and whimsical. 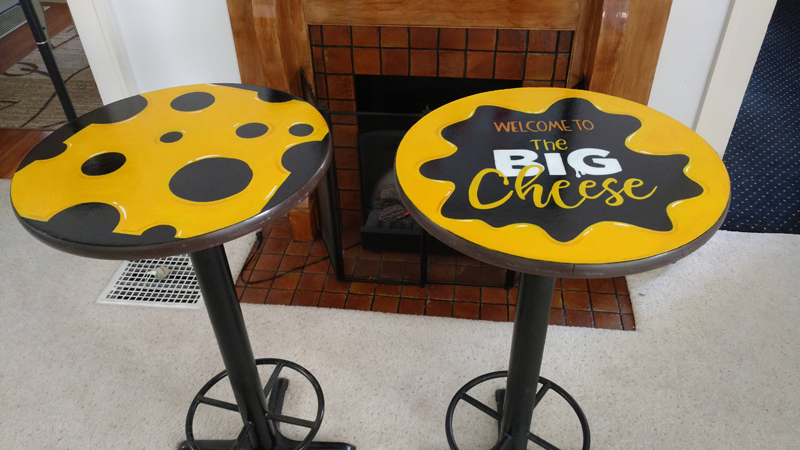 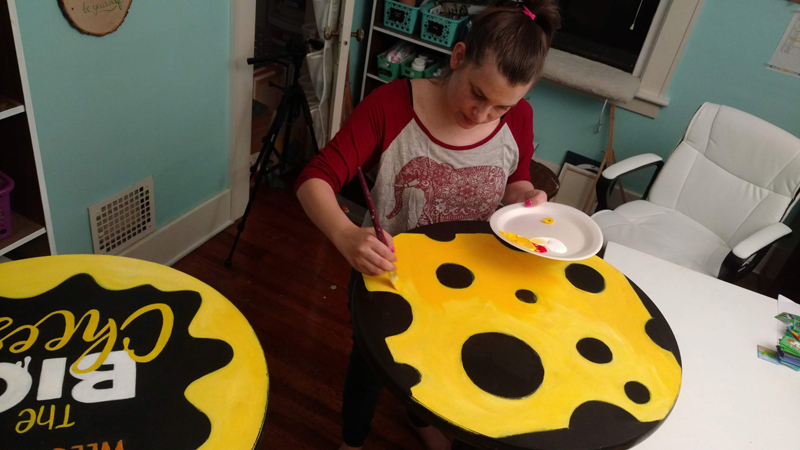 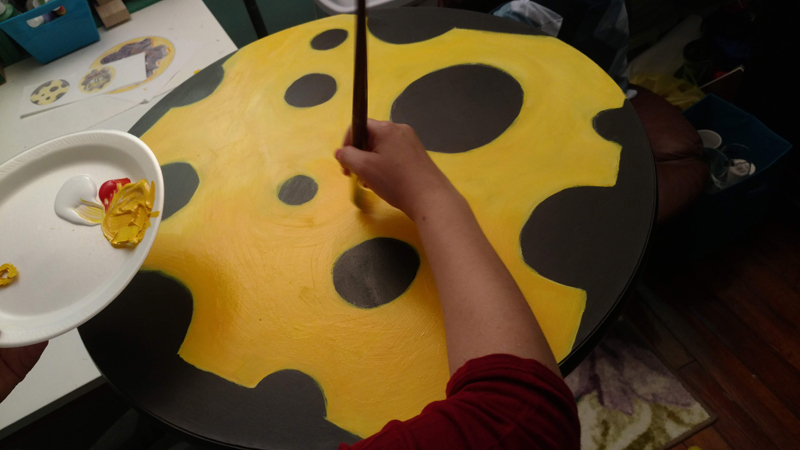 I came up with a few different designs, and they chose two for me to implement – the swiss cheese table, and the logo table. 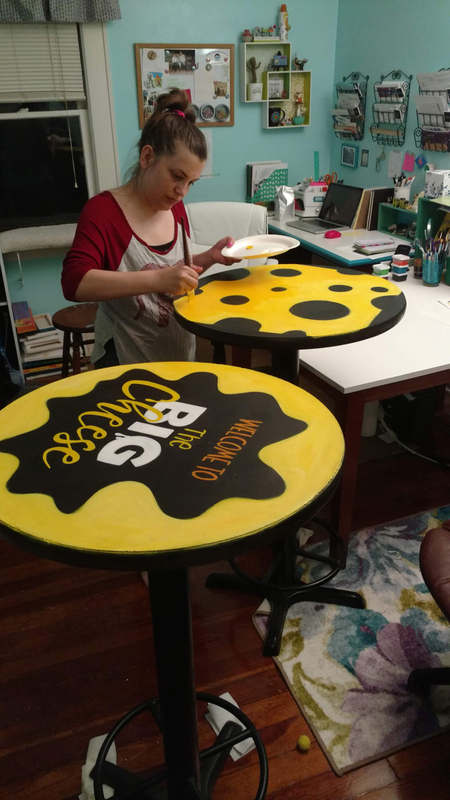 For this project, I first sanded the tables down, and then painted on the design with acrylic paint. 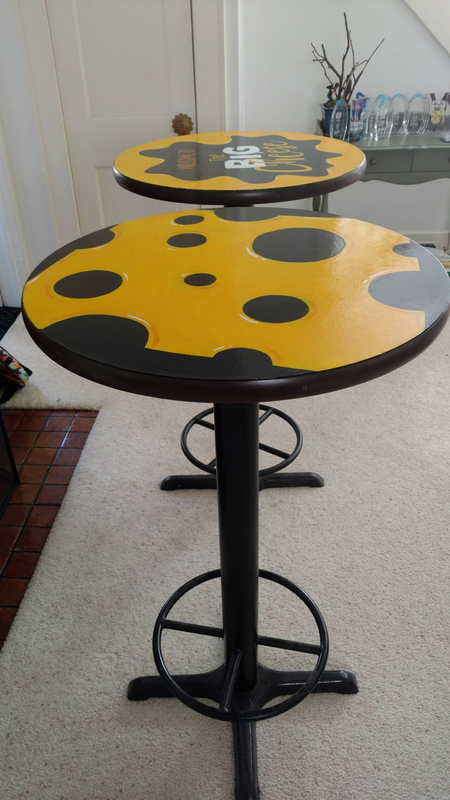 I sealed the tables with Minwax Polycrylic. 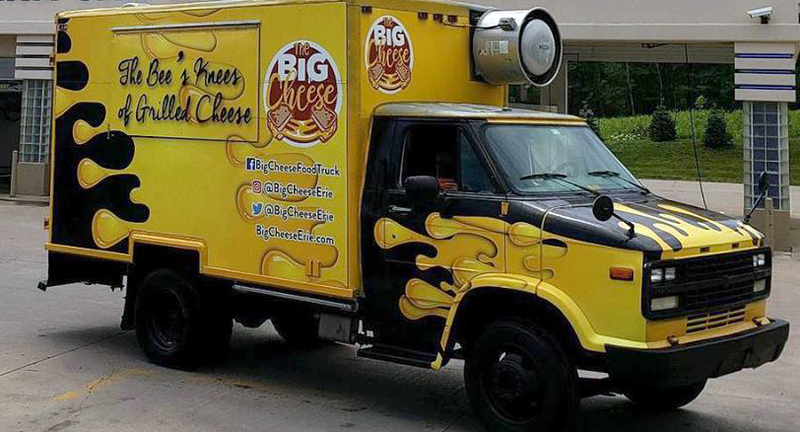 I think they make such a great addition to the bright, whimsical truck design!